Adding a porch to your property gives you enhanced security and an enhanced kerb appeal.It also helps by keeping the cold draught away not to forget the extra space for coats and shoes.A porch can also increase the value of your home. Depending on the design and various other criteria, the homeowner may apply for permitted development or Planning permission for a porch. 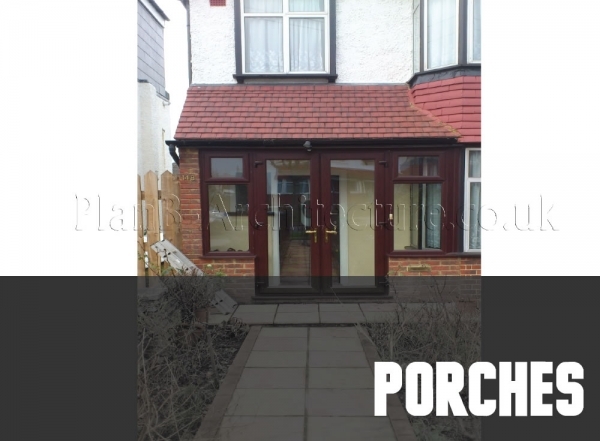 Call us on 02084072472 if you are thinking of building a porch and we can guide you. 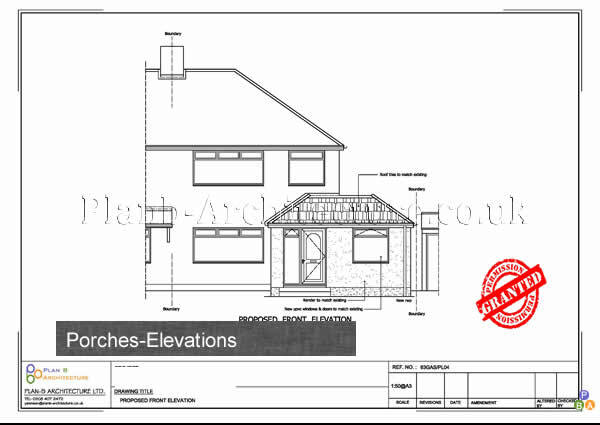 You will require scaled drawings of the porch to submit to your local authority. 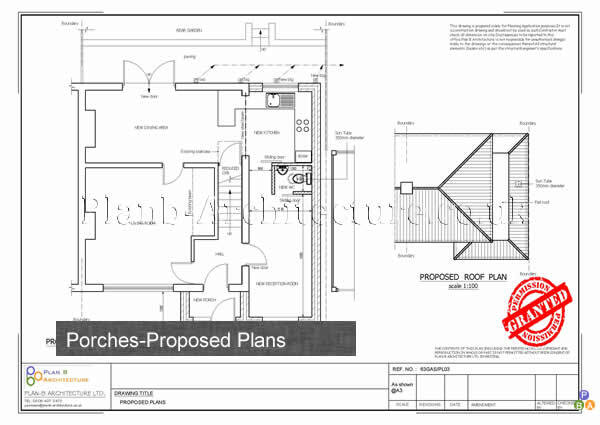 At Plan B Architecture we can prepare your drawings using the latest CAD software. As a property owner it is your responsibility to get the relevant permission if you plan to do build a porch. Depending upon the area, size and volume of your porch you may require planning permission. Most porch may come under permitted or lawful development. However, permission is required where your porch design exceeds specified limits and conditions. 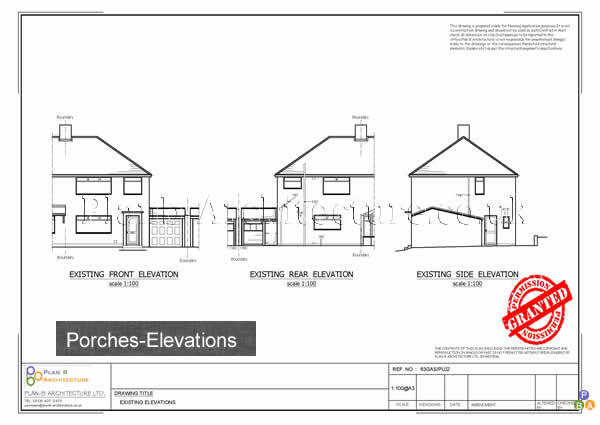 Going ahead with building works without obtaining relevant permissions may result in a fine or imprisonment, or both.It is important to note that regardless of whether or not your porch requires planning permission or not, you will need to submit scaled architectural drawings of your proposals to your local authority. Please call Plan B Architecture Today On 0208 4072472 For Planning Application Drawings For A Porch.